St Michael's has committed to sponsoring a child for five years and to donating 3% of our yearly income to three charities. We encourage you to join us in supporting them, either by donating directly or via the church (please place cash or cheques in a clearly marked envelope). 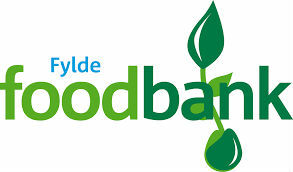 Donations of food or toiletries can be left anytime in the collection box in church. The Food Bank will then pass these on to local people in need who have been awarded vouchers by agencies such as health visitors, Citizens Advice Bureau or children's centres. Roshni lives with her parents. She attends a local school and sponsorship will help her continue to receive an education. Like children everywhere, Roshni loves to play when she has the chance and her favourite pastime is playing ball games. Roshni also has to help out at home where her special job is running errands. Providing practical help and guidance for homeless and vulnerable young people. Supporting the UK's children. Whoever they are, and whatever their circumstances. Aid for those persecuted and displaced within Iraq and neighbouring countries.